there are endless ways of getting killed." 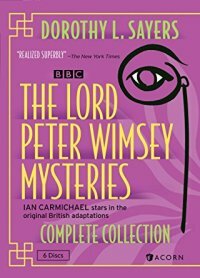 One thing unique about the Lord Peter Wimsey series is that Peter develops over the course of the books. He becomes more of a character, more of a human being. We know something about him right from the start: We know from the first book, for example, that he is an aristocrat, and wealthy; that he has Bunter, his "man"; that he plays classical piano quite well; that his experiences under fire during the war left him with shell-shock (what we have later come to call Post-Traumatic Stress Disorder) and he still occasionally screams during his sleep -- Bunter wakes him and soothes him when this happens, usually bringing him a brandy to quiet his nerves; that he is a bibliophile; and that he is an amateur detective. We also learn his address -- 110A Picadilly. Wimsey's connection with the official police force is Inspector Charles Parker, who is Wimsey's good friend throughout the series, and who eventually becomes his brother in law. 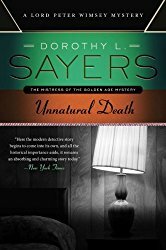 Dorothy L. Sayers needed money -- badly. She wanted to retire and study theology. So she decided to write a series of books that would produce enough income to retire and pursue her passion.But what to write about? She read the newspapers to get a sense of what people liked to read about, and she noticed two common threads that seemed perennially to be written about -- detectives and the aristocracy. So! People liked to read about detectives and about the aristocracy. (If they didn't, these themes wouldn't appear so often in the daily press.) 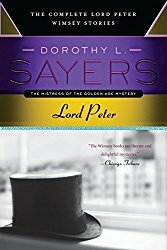 Dorothy Sayers decided to create a fictional detective who was also an aristocrat -- and Lord Peter Wimsey was born. Introduced in Whose Body? (1923). The first words out of his mouth are "Oh, damn!" It seems that he is quite the bibliophile, has just left his home in pursuit of a rare book, but has forgotten to take a catalogue with him. Now he must return home to retrieve the catalogue, and is annoyed. Whose Body? is a lighthearted read, but as entertaining as it is and as much as I love this story, and enjoy rereading it, it failed to make the name of Lord Peter Wimsey a household word. When she completed it, Dorothy Sayers herself was left feeling, "I can do better than that!" And she did! 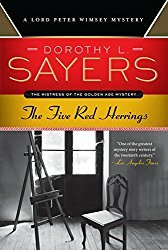 Having gotten one murder mystery under her belt, she turned her attention to writing the book that would put Lord Peter Wimsey on the map of great detective, crime, and murder mystery literature. 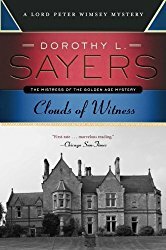 Whimsical as Lord Peter Wimsey could be (we learn much later of his family motto -- "As my whimsy takes me"), Clouds of Witness is much darker and more sinister than was Whose Body? As the story begins,Lord Peter Wimsey's brother Gerald, the Duke of Denver, is in the dock for murder.Lord Peter visits Gerald in his prison cell to offer his services, but Gerald refuses to cooperate. "I didn't kill the fellow," he says, "and it's up to them to prove that I did, or else they'll have to let me go." The uncooperative Gerald refuses to let anyone help him -- not Peter, not the family solicitor (read "lawyer"), nor anyone else. So Peter must investigate on his own with the assistance of his good friend Charles Parker. Then Peter's sister Mary confesses to the murder, but a brief investigation reveals that she doesn't know any significant details. 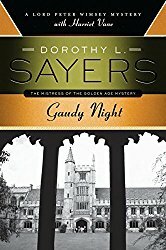 In exploring Mary's motive for confessing to the crime, Dorothy Sayers displays great wisdom and discernment in the emotional side of male-female relationships. This theme is to be revisited throughout the series. It seems that Mary is involved in a relationship with a man who is unworthy of her affections. This man himself becomes a suspect in the murder mystery investigation and in one scene feels obliged to shoot Lord Peter. Dorothy Sayers introduces the plight of a young woman who is married to an abusive, jealous farmer. They live way out on the moor, so she is isolated and has no access to social interaction of any kind. This hard-working farmer's wife lives a life of drudgery and she lives in fear -- for the farmer has threatened to throw her into Peter's Pot (a dangerous area of quicksand out in the moor) if he even suspects her (whether justified or not) of having an affair. During his investigation, Peter comes across this woman. His heart goes out to her and he longs to find a way to get her out of her situation and to protect her. But first he must stick to his priority -- to continue his investigation and free his brother from an impending verdict of murder. The trail leads Peter from England to the United States. In New York city, he discovers the crucial, tangible clue that will prove his brother's innocence. But first he must fly back to England in time to present the evidence in court before the verdict is rendered and all is lost. The climax contains an absolutely riveting passage. Peter hires a pilot and a private airplane to fly him back to England. But these are the days before one had heat in the plane. Far out over the Atlantic ocean, in the dead of winter, a severe storm is coming in on Peter and his pilot. Ice is forming on the wings, the propeller is beginning to stall, the cabin is ice-cold, and they are in great danger of crashing into the sea. Now Peter's life, as well as that of his brother, is at stake. Will Lord Peter Wimsey make it back in time to save his brother's life, or will he himself die in the attempt? In Unnatural Death (1927), Lord Peter Wimsey and Charles Parker are eating in a restaurant when they are approached by another patron, who brings to their attention a suspicious event having to do with a will. A new law may well provide a motive for murder. Once Wimsey and Parker work through the feasibility of such a law's impact, the book becomes a how-dunnit. Even in such an early book in the series, Sayers began experimenting with the detective novel form. She was to turn her hand to all the standard elements (including codes and ciphers, timetables and alibis, wills, doctors gone wrong, the schoolboy's way out, illicit drug smuggling and distribution, and others). She was to become exceptional at exploring and conveying human relationships and their underlying motivations -- particularly male-female relationships, romances, unrequited love, platonic relationships, friendship, and the like, and how they affect human behavior. This aspect of Sayers's writing was to elevate this series, in my mind, above the more mechanical plots of so many. The Bellona Club is a men's club.One of the members is discovered to have passed away, apparently while sitting in his chair reading a newspaper. Since the General is known to have a heart condition, it doesn't appear to be very much out of the ordinary. But when attendants move him, they discover that, although rigor mortis has set in and he is stiff as a board, his knee joint hinges easily. This decidedly suspicious condition indicates that the body was forced sometime after rigor mortis began. Lord Peter is called upon to investigate and unearths some startling facts. The General's sister, it seems, died on the same day at precisely 11 a.m. -- and she has a will with the following clause: If the General predeceases her, her entire (and considerable) estate goes to one party; if she dies first, then the estate goes to another. It is clearly established when the sister died -- but did the General die before her or after her? 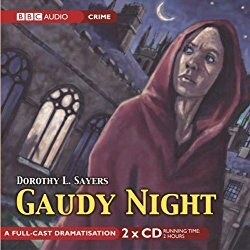 The primary suspects are George Fentiman and Miss Ann Dorland, and in exploring their personalities and situations, Dorothy Sayers once again displays an extraordinary understanding of the human psyche which raises this series far above the common, ordinary puzzle murder mystery. For example,George Fentiman is the young, eccentric nephew of the deceased. Like Wimsey, he has suffered shell shock during the war and, like Wimsey, he periodically suffers relapses which cause him to behave in socially unacceptable ways. He has occasional outbursts, as when he hears the news of his uncle's death. He happens to be in the Bellona Club when he hears the news, and immediately stands up and bellows out the lines from a Punch cartoon he once related to Lord Peter -- "Take him away! He's been dead for three days!" More than once, when George suffers a nervous breakdown, he disappears for days. Either he returns when his senses come back to him, or he is found wandering, unwashed and babbling incoherently.Because of his condition, George has difficulty holding down a job. Extremely self-conscious, he feels emasculated because, in keeping with the times, George believes the man in the household should be the breadwinner. His devoted wife must work in order to make ends meet. In spite of this, their ends don't quite meet, and the couple are in debt, seemingly beyond hope of getting out. Although he loves his wife dearly, George's outbursts quite often are directed at her. He is deeply afraid that he may lose her, and becomes insanely jealous of any male she comes into contact with, including Lord Peter. The other prime suspect, Miss Ann Dorland, is a "spinster" (in the vernacular of the time). A quiet, lonely, deeply emotional woman, Miss Dorland is suffering the pangs of unrequited love. She was under the impression that a man loved her and that they were to be married -- but had he led her on, or had she led herself on? Now she keeps to herself, quietly attending to her hobbies. Ann has pretensions of being a painter, but she is not very talented. She also has a small chemistry lab, and the official police investigation reveals that she has digitalin -- a substance which is difficult for a lay person to obtain and which has been discovered in the General during an autopsy. The General had been taking digitalin by prescription for his heart condition, but a larger-than-usual dose was found on his body, and too much of the substance is dangerous and can be lethal. Had he taken too much himself, or had someone slipped him the extra quantity surreptitiously? Although George Fentiman and Ann Dorland are the prime suspects, they are not the only suspects. George's brother Robert is a likely candidate, for he, too, stands to inherit. Or might he be trying to help his brother out? And who is the mysterious "Oliver," who witnesses described as being a suspicious character? As usual, Lord Peter Wimsey is aided by the always delightful Bunter and by Charles Parker, making this an extremely satisfying read. Having considered the best way to bring it to an end, Miss Sayers decided to avoid a dilemma that other murder mystery writers had gotten themselves into. Sir Arthur Conan Doyle, for example, had killed off Sherlock Holmes in the famous death struggle with Professor Moriarty, during which the two fell over the Reichenbach Falls in Meiringen, Switzerland. Doyle later felt the need to revive Holmes, and was confronted with the challenge of how to do so. Doyle's mother came up with the solution, but that is another story discussed elsewhere on this web site. 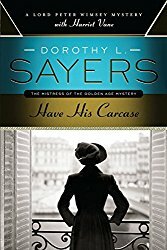 The solution that Dorothy Sayers hit upon was to marry Lord Peter Wimsey off, for everyone knows that when a detective marries he no longer solves murder mysteries. (This was, at least, in the detective fiction of the time!). 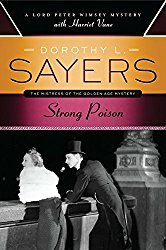 In Strong Poison (1931), Dorothy Sayers introduced Harriet Vane.Many reviewers have observed the remarkable similarity between Miss Vane and Sayers herself. Vane, like Sayers, was a successful author of murder mystery books. Both were women. And both had a relationship with Lord Peter Wimsey, giving rise to speculation by some that Dorothy Sayers was imagining herself in a role where she might herself be Lord Peter's lover. The novel opens with Harriet Vane finding herself in the dock for the murder of Philip Boyes. Harriet had lived with Boyes as his lover for some time, but although she wanted to marry, he said he was against marriage on principle. Both Boyes and Vane were writers of books, Philip aspiring to Serious Literature with some critical success but nowhere near the sales that Harriet was achieving with her detective murder mystery books. So, when Philip Boyes was found dead with a considerable quantity of arsenic in his body, Harriet Vane became the prime suspect. The story became a sensation in the press. Lord Peter Wimsey, reading the account, decided instantly that she was innocent and that he would investigate, find the guilty party, get Harriet exonerated, and then propose marriage to her. She would accept, of course. 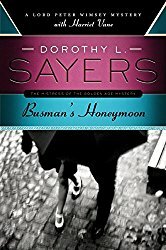 It was Dorothy Sayers's intention to conclude the novel in just that way, but it seems that Harriet Vane didn't cooperate -- she rebuffed Lord Peter's attentions and rejected his proposal of marriage.In truth, as Dorothy Sayers later revealed, she realized that she had not developed Lord Peter enough. He was still, in her eyes, a two-dimensional character who needed to be fleshed out and given qualities that would make him more human.And so she set out to write another book. In simulating the authentic Scottish dialect that her characters used, Dorothy Sayers spelled many of the words in their dialogue phonetically. This was common practice at the time, but many writers today simply use plain English, spelled correctly, and then comment something to the effect that "he had a habit of dropping his g's." (It's easier, after all, for one to translate plain English into a phonetic code, as it were, than it is to be on the receiving end trying to decode it.) It is well worth the effort to struggle through this phonetic jungle, however, and you'll soon find that you can pick it up. Secondly, it is difficult to keep track of who is who. There are seven artists -- one is murdered, one is the murderer, and five are red herrings. 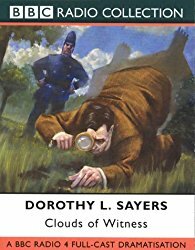 Sayers employs frequent meetings among Wimsey and the police to examine and reexamine the evidence repeatedly throughout the book in an effort to disentangle this Gordian knot. That said, the characters in this novel are entirely believable, and once again Sayers demonstrates her remarkable ability to create fully human characters with all their illogical contradictions. Sayers goes a step further. She lists the items but the chief clue is something that is missing but that should be there. 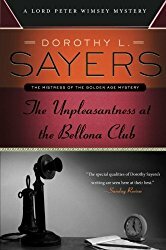 But now for the human quality that Dorothy Sayers added to make Lord Peter Wimsey a more three-dimensional character -- the ability to feel remorse. All through the series so far we have been keenly aware that sleuthing was Lord Peter's hobby. While working on a case there was no challenge that Wimsey's considerable intellect was unable to meet; no hidden clue that he couldn't or wouldn't ferret out in the thrill of pursuit. Now for the first time, though not for the last, Lord Peter Wimsey feels deep sympathy for the person he has brought to justice. Circumstance, and not moral decay or willful, malicious intent, has brought the criminal into the situation in which he finds himself. Wimsey regrets his role in bringing him to justice, although he interprets his own actions as necessary. He does not feel like celebrating his victory, and this raises him to the human level -- and makes him marriage material at last. Now, Dorothy Sayers could return to the preempted romance between Lord Peter and Harriet Vane. Have His Carcase (1932) begins with Harriet Vane on a walking tour. Her trial for murder behind her, freed from the dingy cell she endured during her detainment, and Lord Peter Wimsey's advances having been deflected successfully (at least for the time being), Harriet needs a breath of fresh air and a change of scenery. She tramps along the countryside, contemplating the plot for her next murder mystery book. As she traipses along a beach near the sea, she discovers the dead body of a male. The tide is coming in, and Harriet fears that the body may well be washed out to sea -- she has no time to summon help, nor does she have the strength to move the corpse. So she takes several items for evidence and she snaps photographs. The authorities are a long way off in another town, and Harriet must walk the distance. Naturally, the body has been washed out to sea by the time Harriet is able to report the death. But there were Harriet's photographs, which clearly showed a lot of blood at the scene. There were the items she took -- a glove (blood soaked). Inevitably, Harriet must call Peter into the case. The police to whom Harriet reported the body almost immediately take Lord Peter into their confidence while Harriet feels excluded. Is this because of a sexist notion of the time that women are naturally squeamish and should be protected from forensic information of a graphic nature? Or do the police cater to Wimsey's social position? Or do they respect his successful track record at solving crimes? Or are they keeping Harriet in the dark because, since she reported it, it may be a publicity stunt to promote her books? Or, finally, and worst of all, could Harriet herself be the prime suspect? Lord Peter Wimsey trusts her implicitly. He takes her into his confidence, continues to make proposals of marriage to her, and the two work together to solve the case. But the police are different. Once again, however, Dorothy Sayers realized that she couldn't yet allow Lord Peter Wimsey and Harriet Vane to marry in spite of the fact that the two had worked together closely. Harriet was not on an equal footing with Lord Peter in the murder mystery arena. Peter was the expert, after all, and Harriet was merely a writer of literary murder mystery books but a novice at solving real ones. The two could not marry until Harriet Vane could be shown to be absolutely Lord Peter's equal. But how to do it? The answer would have to wait for two more books while Dorothy Sayers figured out a solution to this dilemma. Sometime during her career, Dorothy Sayers worked at an advertising agency. She hated the petty office politics that went on in the corporate world (as it still does today!). She decided it would make an ideal setting for a murder mystery.She turned into Murder Must Advertise (1933), one of my favorite novels in the series. It is here we learn Lord Peter's full name: Peter Death Bredon Wimsey. We are told clearly that "Death" rhymes with "breath" (not with "teeth"). Peter -- as Death Bredon -- is employed by the Pym's Publicity advertising agency, ostensibly to replace a man who has died from a fall down a spiral staircase at the agency. Unbeknownst to the staff of the agency, Death Bredon is in reality Lord Peter Wimsey, investigating the victim's death. Dorothy Sayers's descriptions of the inner goings on at any large agency are spot on target. Everything from fellow employees coming around to your desk to collect for the deceased man's widow, to the office pool (betting on the outcome of a sports match), to gossip at the water cooler (or, rather, the teapot!) are included. Two chapters describe brilliantly the psychology of a faithful employee trying to save the company from losing a client. This true-blue man heroically goes into action, changes a crucial headline, and saves the day -- all after hours when no one is around. He is indignant that the agent in charge of this account isn't responsible enough to see the deadline through -- he will have something to say about that in the morning! But when morning comes, the other agent gets into work before him and complains to a higher up. When the employee who saved the campaign (and the good name of the firm) arrives, he is called on the carpet, chewed out, given a warning, and never given the chance to explain himself. Anyone who has worked at a large corporation will easily identify with this, for he or she has at least observed something like it happen to others, and may have experienced it themselves. It seems superfluous to say this, for this is Sayers writing at her best (and even writing at her worst is very good indeed! ), but this very incident, when the reader comes to learn the denouement, is at the very core of what is behind the murder. The distribution of illicit drugs, wild parties, and big money are inexorably tied in with the advertising. But how? 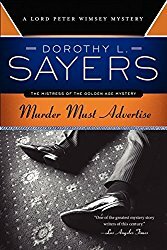 Murder Must Advertise is one of my personal two favorite murder mystery books of the Lord Peter Wimsey series, and Ilove them all. For the past several years I have created an annual ritual for myself by going through the entire Wimsey canon. Oh, joy! 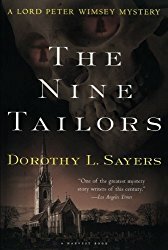 The Nine Tailors is a book that people either love or hate. Dorothy L. Sayers included information from her research on campanology. (Campanology is the art of bell ringing.) Sayers points out that the British have a different attitude toward this art than does the rest of the world. Most people want to make the sounds musical; the British practitioners of this art, says Sayers, are more interested in mathematical patterns and precision. While some readers may wonder why Sayers included so much information about this art, it fits neatly into the plot. The people, the setting, and the landscape all contribute greatly to this story about the Fen country. Sayers was raised in this geographical area, was well aware of the problems with water and flooding that the inhabitants dealt with, and incorporated this setting into the plot. I am with those who hold this to be among her masterworks. In Gaudy Night (1935), Miss Sayers solved the problem of how to present Harriet Vane on an equal footing with Lord Peter. This is Harriet's story and presents her in her true element as a respected scholar. She attends a Gaudy (similar to a college reunion) for her school. It was an all-woman class (Dorothy Sayers herself was in the first class of female scholars at her school). Once again, relationships and contemporary attitudes prevail. But at long last the Wimsey-Vane romance was to come to its point of no return. Peter solved the case, and was on the verge of leaving when Harriet observed that he had not proposed to her. He replied, "I have the feeling that whatever happens now between us is final." He was afraid to propose, for that could well be the end of their relationship if she rejected him again. She said, "There is that risk." Well, you must know by now that he took that risk, and Harriet accepted his proposal. The two were on equal footing at long last, and their relationship could finally be consummated. When Dorothy Sayers finished writing Gaudy Night, she said, "I have done it. I have written the book that I have always wanted to write." This book has divided readers into two camps -- supporters love the book, while others dislike it intensely. I think both camps can agree, however, that it is brilliant. The final published novel about Lord Peter Wimsey tells the story of the Wimsey-Vane nuptials. They honeymoon at a cottage where Harriet often visited in her youth. But, of course, they become involved in a murder mystery investigation, and their honeymoon becomes a Busman's Honeymoon (1937). Harriet gets to see his vulnerable side when he solves the murder but again feels remorse for having brought the perpetrator to justice. There is a soft place in my heart for Ian Carmichael's characterization, quite possibly because he was my introduction to the series when he played Wimsey in the Masterpiece Theatre dramatizations. (Carmichael starred as Wimsey in Clouds of Witness, The Unpleasantness at the Bellona Club, Five Red Herrings,Murder Must Advertise, and The Nine Tailors.) These are available in Lord Peter Wimsey -- The Complete Collection. Years later, when Edward Petherbridge took up the mantel and played Wimsey in the three dramatizations that followed Wimsey-Vane romance (Strong Poison, Have His Carcase, and Gaudy Night) some advocates feel strongly that he was even closer to the character in the novels. 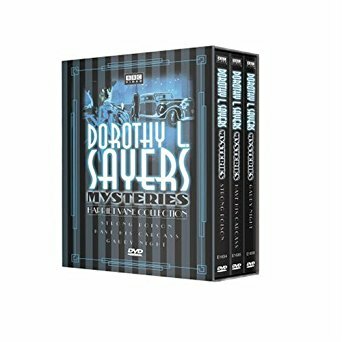 These have been released on DVD as The Lord Peter Wimsey - Harriet Vane Collection. 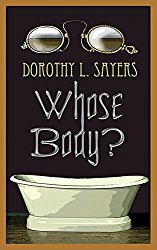 Jane Horning tells us that Dorothy Sayers "wrote detective novels about him [Wimsey] for nearly fifteen years, and then announced that she would not write any more detective stories. Asked why, she replied, 'I wrote the Peter Wimsey books when I was young and had no money. I made some money and then stopped writing novels and began to write what I had always wanted to write.' 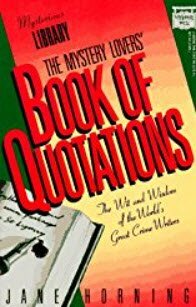 For the rest of her life she concerned herself with religious literature" (The Mystery Lovers' Book of Quotations: The Wit and Wisdom of the World's Great Crime Writers. pages 185, 186). But during her tenure writing the Lord Peter Wimsey stories and novels, she produced some of the finest detective stories ever -- the kind one likes to read and reread. And she produced several anthologies, each with a classic introduction to the detective, crime, and murder mystery genre. She also left an unpublished Wimsey story (which was ultimately published posthumously in Lord Peter, the book that collects all of Lord Peter Wimsey stories, as well as an essay about the series by Sayers and a pastiche called "Greedy Night" by E. C. Bentley. In addition, Dorothy L. Sayers: The Complete Stories includes the stories of Montague Egg (wine merchant extraordinaire! ), another detective she created.Sayers also left an unfinished manuscript -- Thrones, Dominations -- which was completed by Jill Paton Walsh. Walsh wrote a second Wimsey novel, A Presumption of Death. Note: Lord Peter contain the complete Lord Peter stories, including a story published posthumously and not published elsewhere. It also has an essay by Dorothy L. Sayers that gives us information about her thoughts when developing Lord Peter Wimsey and writing the books. There is also a pastiche/parody by E.C. Bentley called "Greedy Night." 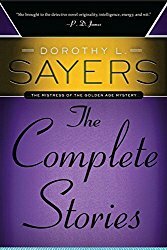 Note: Dorothy L. Sayers -- The Complete Stories includes the Montague Egg stories and other stories by Sayers in addition to the Lord Peter Wimsey stories.